As I've mentioned on this blog before, we've been at Sapphire Ridge for a year now and haven't really decorated with the exception of the kid's rooms. I have since made slipcovers for both couches and I am now making pillows to add a bit of pop. 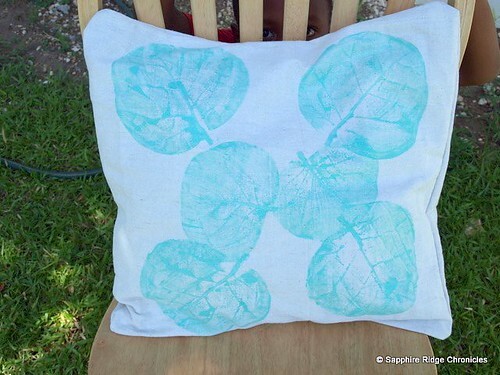 As I was browsing the great queen Martha Stewart's site, I came across this lovely tutorial for "Leaf Print Pillows". I had a bit of canvas left after covering the couches so I decided to use the leftovers for this project. This is my first try and I've only used one color. Next time I'm going to use at least three. First I had to pick the leaves. I decided on Sea Grape leaves. 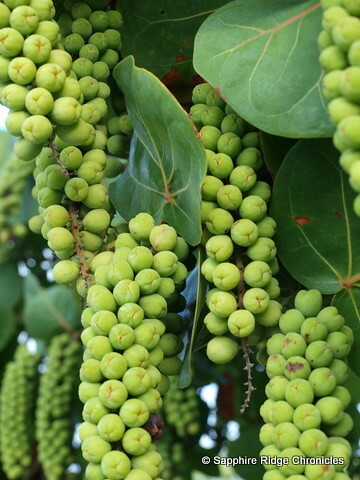 Sea Grape is a fruit tree that grows along the shore and resembles grapes in size and purple color. 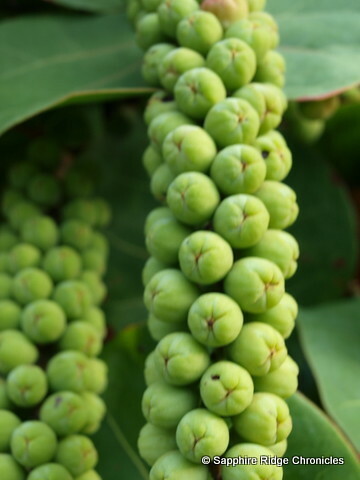 They also grow in a clusters similiar to grapes. Hence the name. 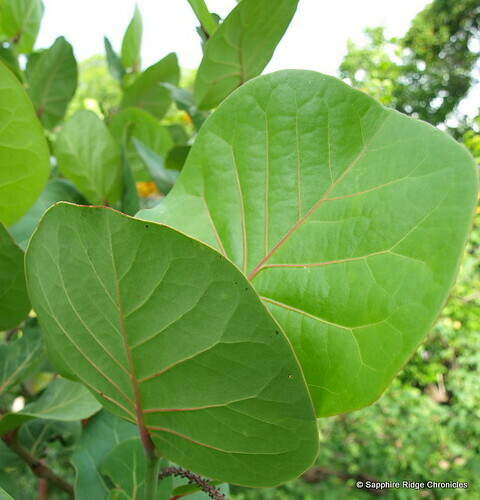 Their leaves are broad, have deep vines, and are perfect for this project. Prepare the paint and medium. 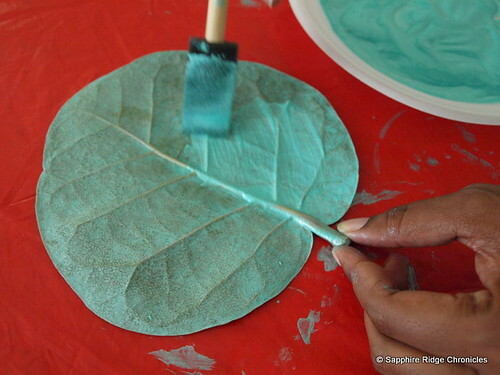 Then with the foam brush, paint the underside of the leaf. Do not put too much paint on the leaf, you want to be able to see the details (I did a few practice runs). 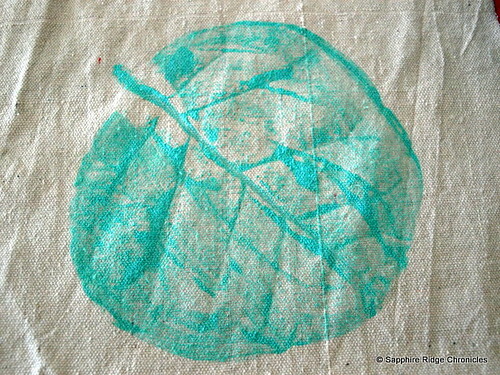 Next, place leaf painted side down onto fabric. Then place a paper towel on top of leaf. 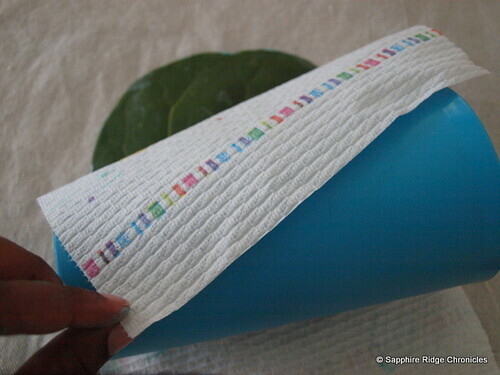 Roll the brayer/cup back and forth on the paper towel, making sure you get all of the grooves. Carefully lift up your leaf. Continue to add leaf prints in a pretty pattern until satisfied. Let dry. Heat set with an iron. Sew your pillow together. Oops I Craft My Pants! Fun idea! Thanks for linking @Creative Itch's "Sew Cute Tuesday"!